Mike de Kock looks the trainer they will have to beat in the R1-million Gauteng Guineas over 1600m on the Standside track at Turffontein on Saturday and he is very happy with the state of his four runners going into the Grade 2 race which is also the first local leg of the SA Triple Crown. De Kock-trained Soqrat has already won the “away” first leg which was the Grade 1 Cape Guineas and although nominated, he will not be taking his place in the local race. But De Kock does have unbeaten Hawwaam, the half-brother to Sun Met winner Rainbow Bridge, Barahin, Alyaasaat and Arlingtons Revenge but believes the first two are the best of his quartet. Unfortunately, the son of Silvano will jump from No 11 draw but, as De Kock mused, “he’s never had a draw”. Barahin has not run since winning the Golden Horseshoe at Greyville on Durban July day in which he touched off Soqrat by a short head. “I think he is very good. He’s the only horse in that age group to have beaten Soqrat. We gave him a long rest because he was a bit jarred up after the Natal season. Unfortunately, he too is drawn very wide but will have Anton Marcus in the irons. De Kock said he took the decision to geld Alyaasaat after his flat run in the Graham Beck Stakes in which he finished fourth behind National Park. “He is very capable and he has come on with gelding but I’m not convinced he is in the class of the other two. “Arlingtons Revenge is also probably not in this class. If he ran fifth it would be a massive run. He is an improving sort and I would like him to run well,” added De Kock. The bookmakers appear to agree with De Kock’s assessment of the race as Betting World has Hawwaam at 18-10, Barahin at 5-2 and they are then betting 10-1 bar those two. He also saddles three runners in the Grade 2 Wilgerbosdrift Gauteng Fillies Guineas and while they all have chances, this race is a lot trickier which is also reflected in the betting but they still have De Kock-trained Nafaayes favourite at 3-1. 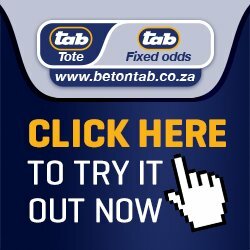 Sean Tarry-trained Celtic Sea is second favourite at 6-1 but De Kock’s Storm Destiny is joint-third favourite at 7-1 with Ronnie’s Candy. 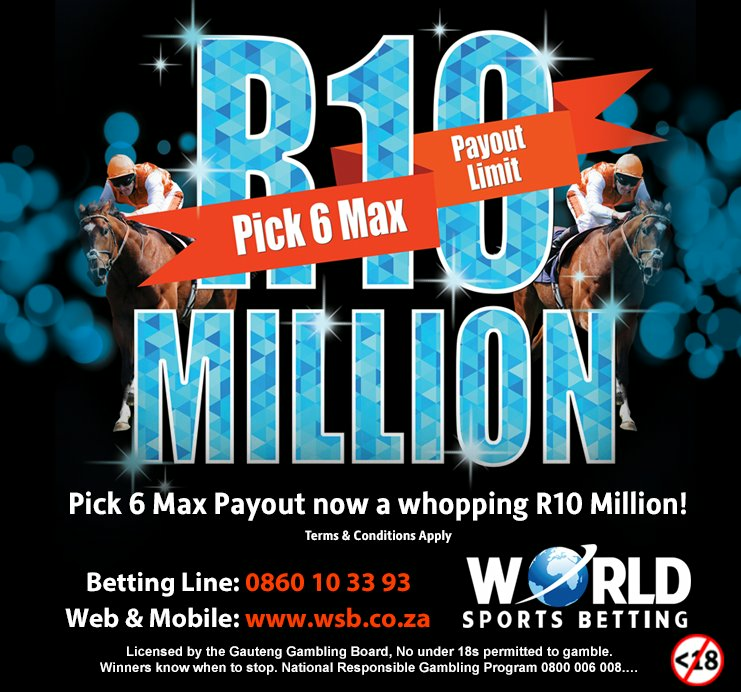 Betting World has 16-1 on offer for De Kock’s third runner, Dagmar. “She’s had her issues but she’s not a bad filly on her day. She is certainly better than she’s shown of late,” said De Kock. At least she has a reasonable No 6 draw.